Despite the recent increase in research and development of mobile self-care tools, there are very few solutions regarding the prevention of negative health effects of menopause. Moreover, most of these solutions are not based on well-founded user models, such as personas, and fail to seize the potential of persuasive mobile technology, which results in a user experience that is neither engaging nor adaptive. In this paper, we describe how we designed personas during the development of a mobile application for menopause self-care. For this design, we used the principles of the Persuasive Systems Design model and the Just-in-Time Adaptive Interventions framework, along with participatory techniques and demographic data analysis. 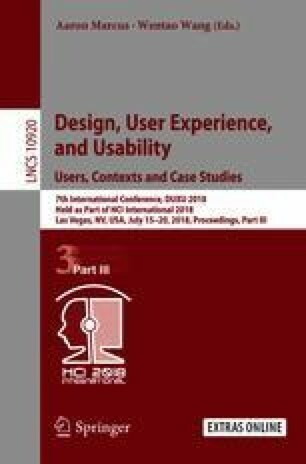 This approach is not limited to menopause, as it could be used to reliably represent users in the interaction design of mobile self-care solutions in other health-related domains. This work was supported by the Vita Nova project (CUP CIPE D18C15000130008), funded by the Tuscany Region and the Italian Ministry of Education, Universities and Research (MIUR), as part of the PAR FAS (now FSC) and FAR programs. We would also like to express our gratitude to Giulia Mascagni and Andrea Giannini of the University of Pisa for their contribution in the definition of the tailoring variables, as well as for their help in organizing and recruiting participants for our focus group interviews and questionnaires.